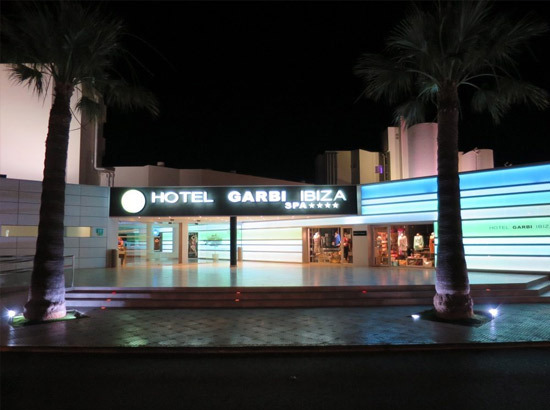 Hotel Garbi Ibiza is located at Playa den Bossa, and it’s right between the party area and the more quiet area of Playa Den Bossa. You don’t hear anything from the party area although it’s just a small walk away over the beach. We love this hotel and we are loyal quests for some years now. It’s not to big and the food is good, it’s clean and directly located at the beachfront. But there’s a swimming pool as well with sunbeds en luxery loungebeds. At the afternoon they play nice chill out music over here. At 2015 all rooms are renovated. 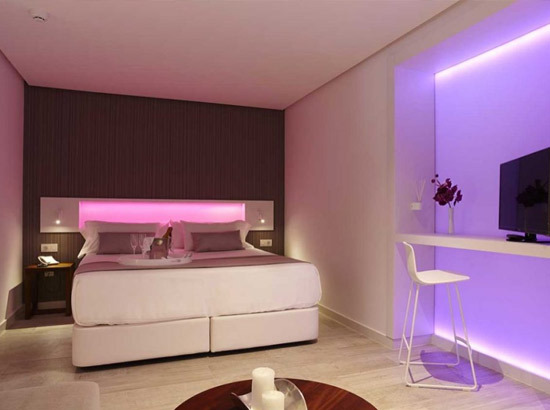 The rooms are nicely decorated in avantgarde style and they have put attention on details. All rooms have a balcony with a lateral sea view and a bathroom with rain shower, a hair dryer and make up mirror. Besides that the room has airconditioning, a safe (for rent), a phone, a fridge, television and wifi connection included. The hotel has a spa as well. It has a Turkish bath, a jacuzzi, a steam room, and you can book al kind of different massage and treatments. Beside that there is a small gym. So keeping in shape during your stay and relaxing, it’s all possible here. The staff is every year the same at this hotel, and everyone is very friendly, and they are really trying to give you the best stay ever. Staying at Garbi means you have all benefits for a perfect holiday. We love to come here! The airport is located 4 km ahead. And also your in about 10 minutest at the center of Eivissa. So once again, I can recommend this hotel to everyone.